Loan modification scams have been cropping up for years, but it wasn't until widespread foreclosure panic set in that these scams started becoming more prevalent. Adding fuel to the scammers' fire is the lack of knowledge many people have regarding where to go for a mortgage loan modification. Mortgage loan modifications used to be offered as a courtesy by some mortgage lenders to customers who wanted to retain their mortgages through the lender but were seeking out a more favorable interest rate, or in some instances, a change in the amortization of the loan. The terms of the modification depend on the agreement reached between the borrower and the lender. Whenever there is a situation where homeowners may be able to receive financial relief when struggling, you can rest assure there are scammers standing by to take advantage of the situation. Although mortgage modifications have become more common knowledge, many people are unfamiliar with how to go about the process of requesting and receiving a modification. Additionally, the concept of a loan modification to avoid foreclosure -especially when it includes the lender accepting a loss in order to help the homeowner- may seem too good to be true and therefore homeowners may expect to pay huge fees and jump through hoops in order to get a modification. This isn't true at all. Many mortgage lenders are trying to work with struggling homeowners to help them get back on track financially and to keep their homes, all without any huge fees or hoops. A mortgage loan modification request should always start with your mortgage lender, not with a third party working on your behalf. While it is true that some lenders are not very accommodating and many homeowners have to turn to a third party in an attempt to get results, homeowners should not explore the option of utilizing a professional loan modification company until after they have first contacted their lender and requested a loan modification on their own. The process can be tedious and time consuming, but it can be well worth the effort. Mortgage relief scams try to convince homeowners that the process requires the intervention of a third party. While there are certainly some legitimate companies that assist homeowners in obtaining a modification, there are also many scams that can wind up costing homeowners money unnecessarily, and in some instances, may cost them their homes. The company requests that you stop paying your mortgage company and instead make the payment directly to the modification company. 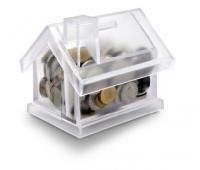 The company makes blatant guarantees of obtaining a loan modification regardless of your circumstances. The company tells you to stop talking to your lender altogether. The company tells you to stop making any mortgage payments at all to your lender. The company requires money from your in order to initiate a government-sponsored loan modification. The company claims to be able to obtain a modification for you based on a loophole that nobody else knows about. The company asks you to transfer your home's title from your own name into the name of someone at the company. The company requires costly upfront fees in order to initiate the modification request. It may not be easy to get a mortgage loan modification, but it shouldn't be impossible. Beware of scams that will do nothing more than steal your money and leave you owing more than you originally owed before attempting the modification. For more information regarding legitimate loan relief, go to the government website dedicated to helping homeowners avoid scams and to keep their homes.